“Future technologies will continue to increase the possibilities within IoT in general, and transportation and automotive in particular. As more devices become connected over time, the solutions based on the technological ecosystem will create the real boom of IoT”, Telenor Connexion´s CEO Mats Lundquist presented his view on innovation enabled by connectivity at “The Future of Transport” seminar in Tokyo, arranged by Business Sweden. 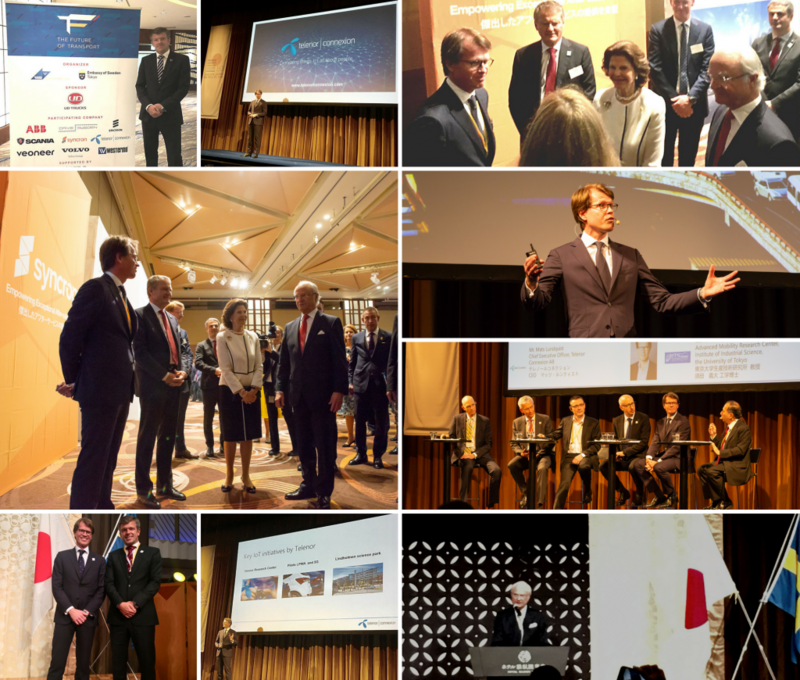 At the event high-level representatives at leading Swedish enterprises took part in a discussion how Swedish advanced technology – in areas such as e-mobility, connectivity and autonomous driving – can contribute to the big social transformation plan of Japan called Society 5.0. The seminar is part of the High Level Business Delegation including the Japan-Sweden Business Summit, at the celebration of 150 years of diplomatic relations between Japan and Sweden. 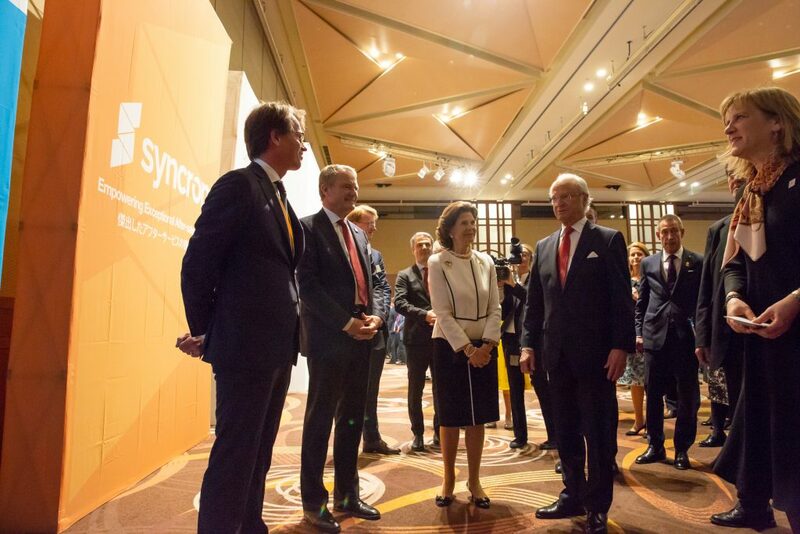 Apart from gathering policy makers, industry associations, automotive manufacturers and media, Sweden’s Head of State H.M. Carl XVI Gustaf and H.M. Silvia were present. Japan and Sweden celebrate 150 years of diplomatic relations this year and Telenor Connexion is proud of being part of this! One of the top events is the High Level Business delegation including the Japan-Sweden Business Summit. As part of this Business Summit, the future of transport, including e-mobility, connectivity and autonomous driving, will be the focus for seminars and discussions along with an exhibition. Telenor Connexion´s CEO Mats Lundquist is talking about innovation enabled by connectivity and he will take part in the panel discussion together with representatives from Volvo Trucks, Veoneer Japan, Ericsson and ABB Japan. The Business Delegation is organised by Team Sweden, represented by Business Sweden and the Embassy of Sweden, in partnership with Keizai Dōyukai, the Japan Association of Corporate Executives. Mats Lundquist, CEO at Telenor Connexion presents “Innovation enabled by Connectivity”. Future technologies will continue to increase the possibilities within IoT in general and transportation/automotive in particular. As more devices become connected over time, the solutions based on the technological ecosystem will create the real boom of IoT.